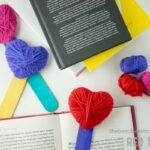 Learn how to needle felt a heart bookmark with Cerys from Rainy Day Mum. 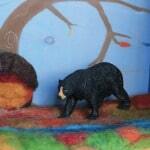 Needle felting is a craft that I have NOT yet tried. I am dying to give it a go one day. It looks so calming and satisfying! 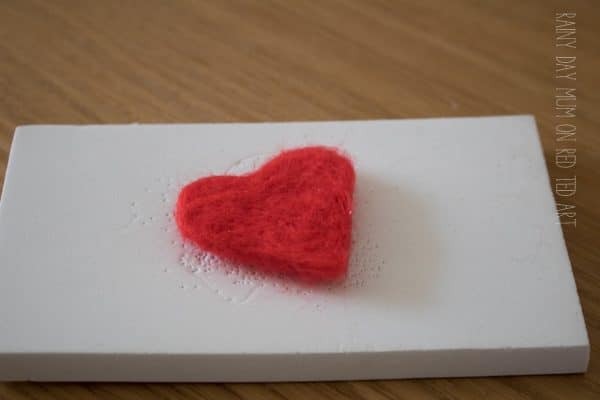 Many moons ago, we shared a DIY Needle Felted Button. 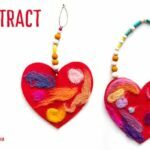 So when Cerys suggested these Needle Felted Heart Bookmarks, I really wanted to share them with you!! 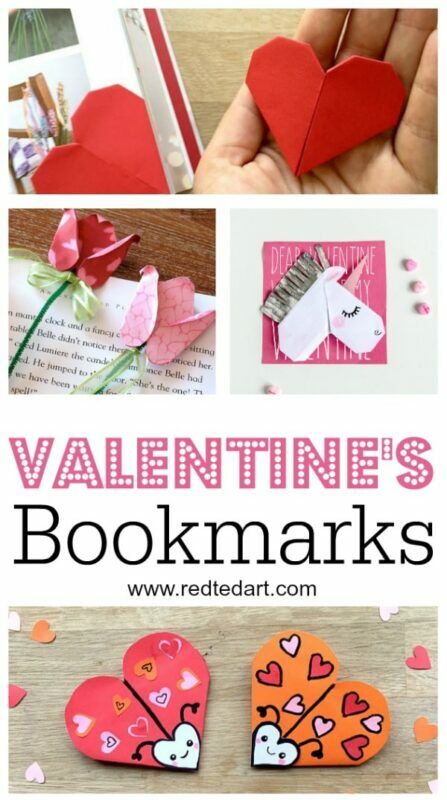 And loving all DIY Creative Bookmarks, these are a perfect addition to our special set of Valentines Bookmark Designs! 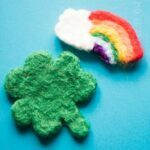 I love discovering new crafts and for years I have wanted to try Needle Felting. 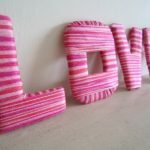 I had always been a little afraid of how difficult it looked especially after seeing the wonderful creations after searching Pinterest or on Etsy. But, knowing that the creators of these had to start somewhere I decided to get the basic equipment and start – because everyone must start somewhere. 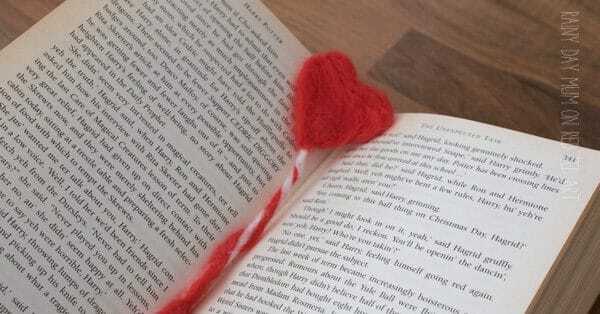 This easy beginner needle felted heart bookmark is an ideal project for kids. 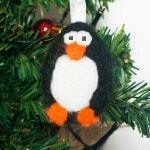 You to start and get to grips with needle felting for the first time. 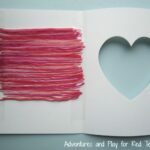 Or check out this Start Kit, that also has enough wool to make this bookmark US/ UK! 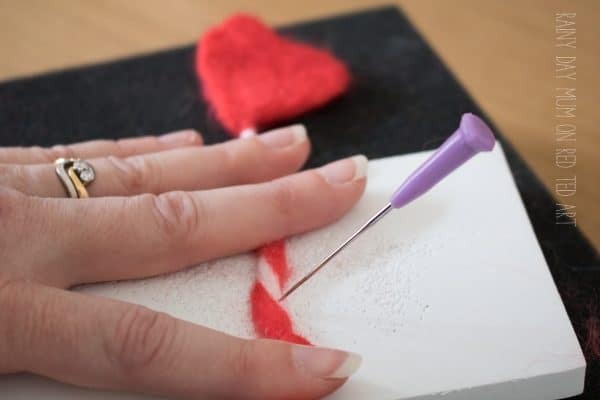 Place your heart shaped cookie cutter on to the needle felting mat. Stuff this will some red wool roving. Don’t worry if you have too little you can always add more. 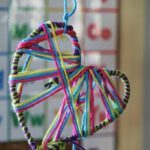 When you stuff the heart make sure that you twist and turn the wool roving so it’s more of a clump than in lengths. Then start stabbing with your needle. 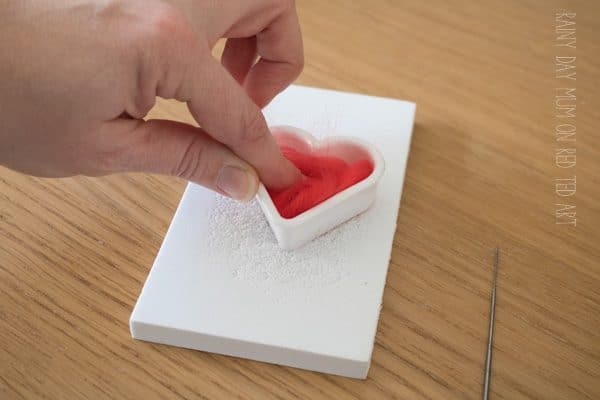 You will see it will start to flatten once you have it reduced in size a little remove the cookie cutter and turn over the heart. 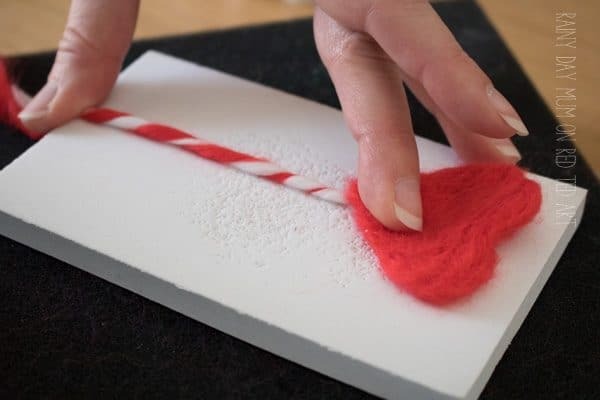 Place the cookie cutter back around it and continue stabbing until it’s solid felt. 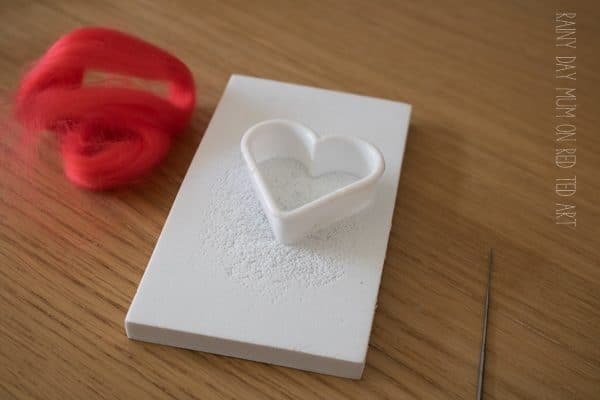 When you are happy with the heart – you can remove the cookie cutter and tidy up the edges with the needle – be careful as they are very sharp. 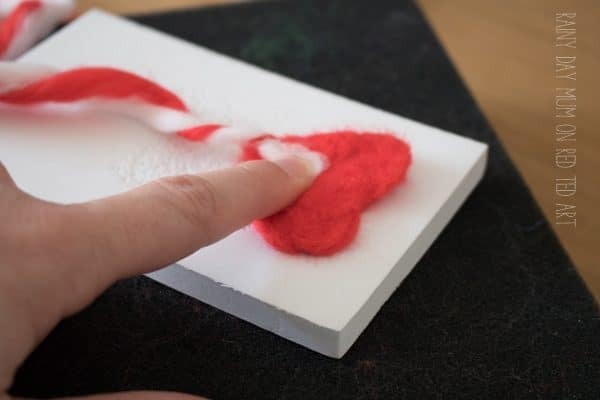 Take one section of white wool roving and one section of red and place them together. 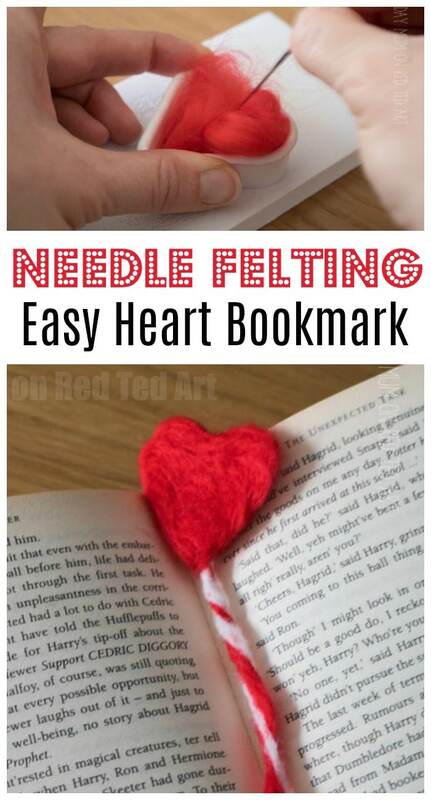 These are going to form the tie that will be placed inside the book for this heart bookmark. 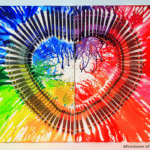 At the point of your heart on what will be the back twist over the white and red and stab it into place. This stabbing will secure the tail to the heart. Once it’s firmly joined twist the two strands of wool roving together and working from the heart down stab it to felt the wool roving going down the tail. When you get to around half way down your length at the bottom tie a knot and stab this to felt the knot in place and make it secure. Continue to stab turning over the tail until you are happy with how it’s felted. I’ve left my as a loose felt instead of like the heart so that it won’t be too solid in the spine of the book. 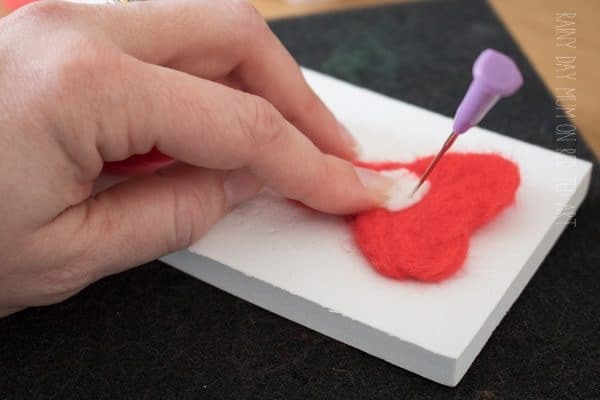 Using the Cookie Cutter shapes is an ideal way to get started with needle felting from these 2D felted shaped you can then more onto the amazing 3D animals and creations you can find on the internet. 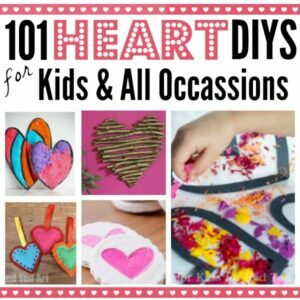 Cerys is the founder of Rainy Day Mum, where you can find ideas for getting creative as a family, encouraging children to have a life-long love of learning through hands-on activities and creating delicious recipes to cook together and enjoy as a family. 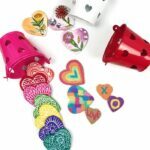 Find Cerys at Rainy Day Mum and follow her on Instagram to see new ideas as well as a snippets from the Rainy Day house.